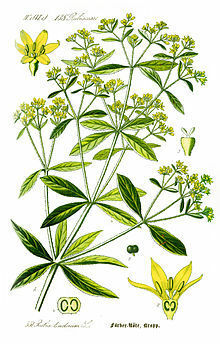 The primary dye component is alizarin, which is found in the roots of several plants and trees. 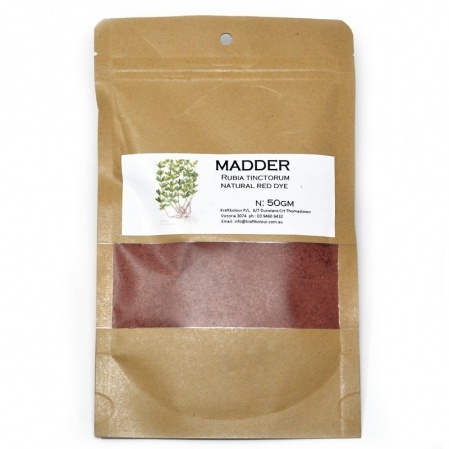 Madder is cultivated and grows wild throughout India, south east Asia, Turkey, Europe, south China, parts of Africa, Australia and Japan. Dye yields reds and pinks, turkey red and a variety yellows and browns. 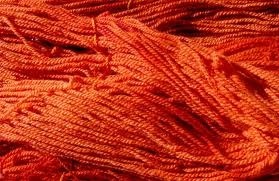 Madder is dyed at 35-100% WOF for a medium depth of shade. Mordant with Alum at 20% for protein and with Tannin at 8% WOF then 20% Alum WOF for cellulose fibres. For darker brick reds use Alum Acetate instead of Potash Alum.